Xiaomi's announcements have been relatively predictable so far, but the introduction of a new Poco sub-brand was a surprising move. It sounds like a marketing experiment - deliver flagship specs at cutthroat prices. Sound familiar? 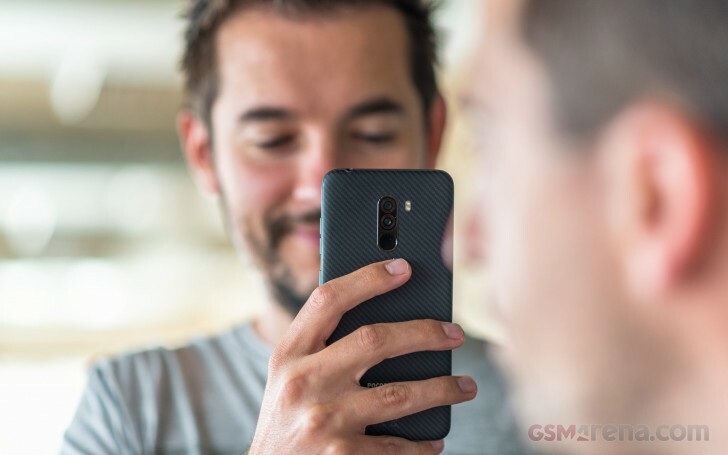 Well, it does remind of how OnePlus came to be, but we're not sure the new Pocophone F1 is headed in the same direction. Poco is still just a brand, and not a separate company and they stand on the shoulders of Xiaomi's logistics and after sales support network. The feeling of deja-vu aside, OnePlus has proven to mostly stand up to its promises through the years and we're yet to see how Poco will fare. Xiaomi really likes the meaning of small embedded within its names - Xiaomi or Mi written in Chinese means millet - little rice, while Pocophone in Spanish means little phone. Because they start small and dream big. And it does ring nicely with the Poco launch. Anyway, the Pocophone F1 is not just big promises and polished PR. Just on the contrary - looking at its specs sheet it may have enough power to redefine the whole concept of mid-range and flagship segments. But only if this strategy keeps it going forward at least another generation or two. The Pocophone F1 comes with a bezel-less screen and a notch. The notch here accommodates an infrared camera and an IR illuminator for face unlock, and there is also a 20MP selfie snapper. In charge of processing is Qualcomm's most powerful chipset - the Snapdragon 845 - enhanced with liquid cooling. There is also a dual-camera on the back with large pixels and a bright lens, while the massive 4,000mAh battery should help power the whole thing for quite some time. 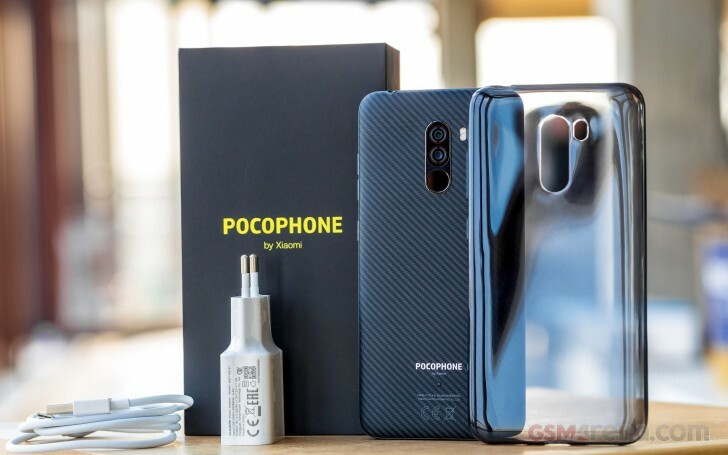 Xiaomi stressed the Pocophone brand will be operating independently, but you will be seeing the by Xiaomi inscription for some time, so the people can remember the sub-brand will be fully relying on the Xiaomi's service network for support of any kind. Operating independently will also allow Pocophone to release faster updates. 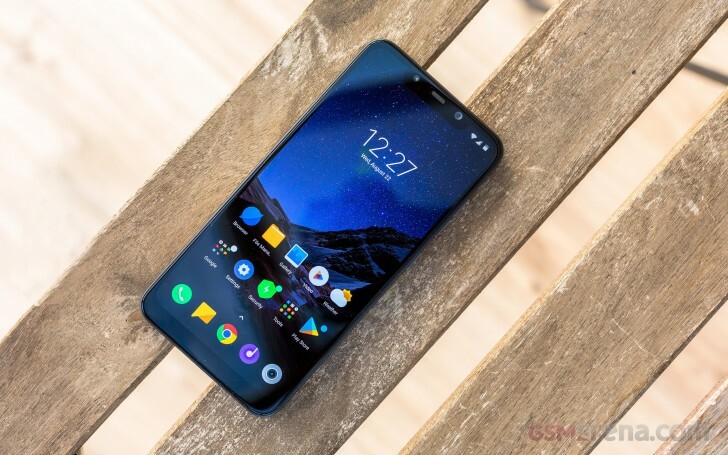 The F1 has been promised the Poco-customized version of MIUI 10 in just a month after its release. They also promise an update to Android Pie in three months, and updates will keep coming regularly after that, too. Finally, this independence will also help the management to focus on selling the Pocophones in other markets outside of Xiaomi's traditional places of operation. Of course, the focus on the Indian market will remain high. We are very excited to meet the Pocophone F1. So, let's unbox this thing and see what's all the fuss about. The Pocophone F1 comes packed within a sweet black/yellow box. Inside you'll find an 18W QC3.0-compatible fast charger and a USB Type-C white cable. There is also a transparent silicone case inside the yellow paper compartment. Guys is that new pocophone f2 going to come soon. 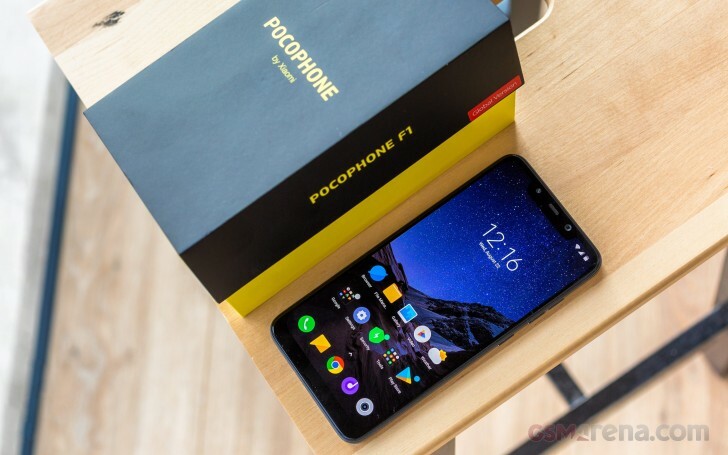 Or should I buy pocophone f1. Which one will better poco f1 or samsung ato?